Drones are getting more and more popular in the television and movie industry. 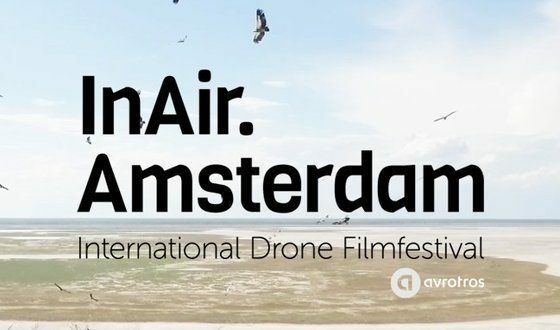 That’s why the Dutch public broadcaster AVROTROS organises an international drone film festival to ‘celebrate the world’s best aerial cinematography’. The InAir.Amsterdam film competition challenges the best filmmakers in the business, but also the unknown creative filmmaker. Everybody with a drone, editing skills and a limitless imagination can participate. Hollywood is within reach. InAir.Amsterdam welcomes every talent from around the world. "Everybody with a drone, editing skills and a limitless imagination can participate"
Competitors can submit their drone videos in the categories news and documentaries, sports, architecture, landscape, fiction and drones for good. The winners will be chosen by a professional jury. The festival takes place on May 2nd. Javier Alonso Mora and Guido de Croon from Delft University of Technology will hold lectures and give live demos. The competition is open. Participants can upload their work via inair.amsterdam. The deadline is April 18th, 2018.